Chrome 65 rolled out to Chrome OS last week and with it came a lot of improvements and changes. One thing that was added that was not documented was inline replies in Android messaging apps. 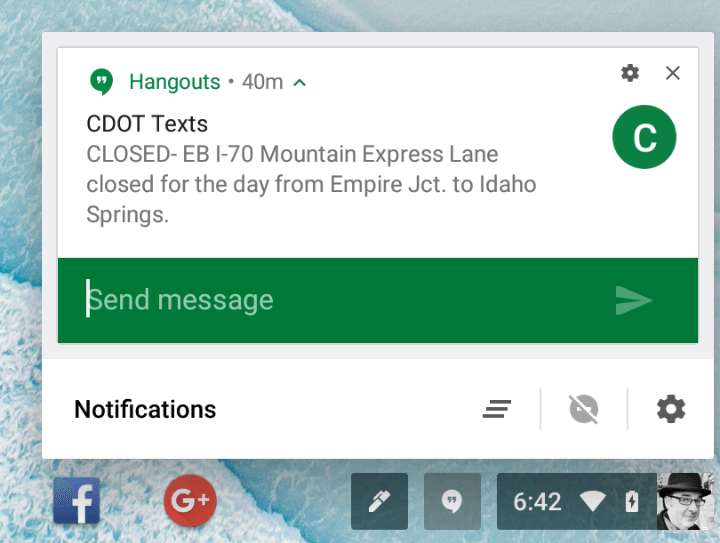 If you are using the Android app version of a messaging app like Hangouts or Facebook Messenger, you can now reply to that message from the notification that you get when you receive the message. The ability to do inline replies in the notification is something that Android itself has supported since Android Nougat and it is a handy feature. It can help you stay focused on whatever you are working on without having to switch to the message app to send a reply. So far I’ve tested it with Facebook Messenger and Hangouts on my Google Pixelbook running Chrome 65. I suspect that it works with other apps but I have not tested it any others. 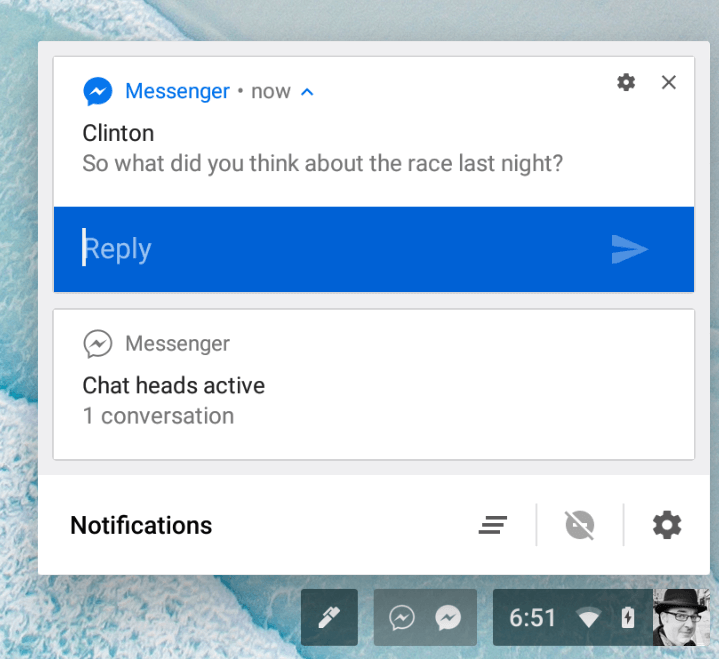 Given the mechanism to reply from notifications is now in Chrome OS, it should work with every messaging app. There is nothing you need to do necessarily to make the inline replies work. So long as you have the Android app version of your messaging client, you should be good-to-go.